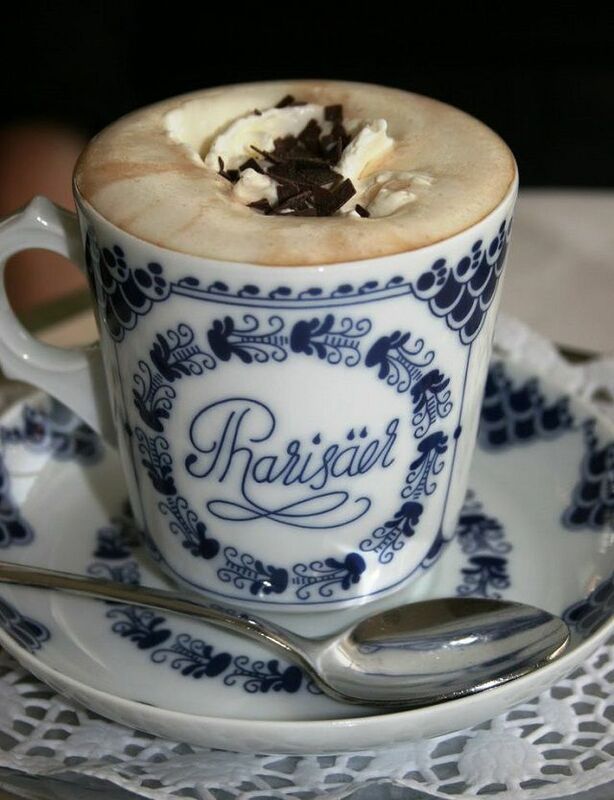 This German Coffee with Rum (Pharisaeer Kaffee) and whipped cream is the national drink of North Frisia. The scuttlebutt is it was invented for the christening of a baby girl, Johanna Theodora Katharina, on Nordstrand Island on Feb. 29, 1872. Pastor Gustav Beyer was very strict and always berating his flock for their godless drinking. In order to avoid his wrath, the congregation served a drink made with rum and coffee. The whipped cream on top kept the rum aroma from wafting through the air and upsetting the pastor, who received plain coffee with whipped cream. However, at some point, the good man got a whiff of what was going on behind his back and cried out, "Ihr Pharisäer!" or "You Pharisees!" referring to the sect that heckled Jesus in the Temple. What a delicious way to be evil! Fill the cup with coffee, sweeten to taste with the sugar cubes, then add the rum. Place whipped cream on top and serve immediately. This coffee drink is typically served in a large glass tumbler with a saucer made for this drink. If you can't find this cup, use a coffee cup as in the photo. Traditionally, you are not supposed to stir this drink, but sip it through the whipped cream. If you stir it, you may be required to buy a round of drinks. Interesting note: In 1981, a Flensburg court decided that 2 cl (20 ml, less than an ounce) of rum is not adequate for a Pharisäer. Tea is almost as popular as coffee in Germany, but a good old cup of joe (or would that be a cup of Josef?) holds sway. Here are more German coffee recipes to keep your cylinders buzzing along. Milchkaffee, what would be considered café au lait in France, is strong coffee filled halfway in the cup and then filled to the rim with hot milk or milk froth. It is served unsweetened, leaving the sugar up to the imbiber, but sometimes cocoa powder is sprinkled on top. Milchkaffee is often accompanied by a little Danish butter cookie. Eiskaffee is cold coffee and ice cream topped with whipped cream. Iced coffee never had it so good.